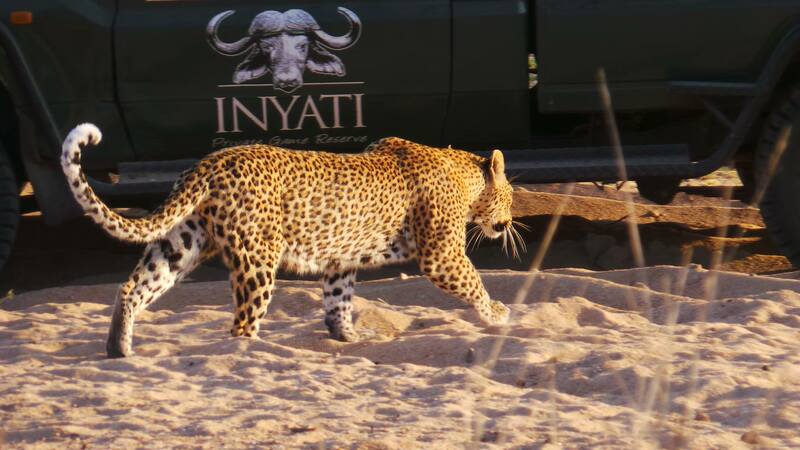 Inyati Game Lodge is situated in 65,000 hectares in arguably one of the best game viewing areas in the world and most prestigious private conservation areas, the Sabi Sand reserve, adjoining the renowned Kruger National Park. At its worst the drought left the bush barren of life. Mother Nature herself wanted us to see the value of water and the suffering that happens when it doesn’t fall. Mercifully though one afternoon a giant cumulonimbus cloud rolled up from the south, bringing with it a light show of thunder and lightning, tempestuous winds whirled and whipped the dust bowl and finally a light sprinkling of the most precious fluid on earth. This auspicious start has compounded over the rainy season, and as I write this we have had non-stop rain for five days. The revival has been astounding, the browns, greys and whites have all but faded and the greens have taken over. The soil left an open canvas by the drought has been painted by the pioneering wild flowers and grasses, the insects that follow cycles and held on through the drought then went about making enough offspring to fertilise all the wonderful plants. Traditionally predators do better in the dryer seasons as the herbivores lose condition, but with three new Othawa cubs and two cubs for Tlangisa it appears that the cats do well no matter what the conditions are. Xhikavi’s adult offspring is still hanging around his mom almost two years into his life, Dewane seems to like him more than his mom does. His name is Mondzo and he really is a beautiful leopard and even has blue eyes. Ravenscourt has been pushing further and further into Dewane’s territory. Schotia had cubs several months ago but she hasn’t brought them out for inspection yet. Torchwood took some heavy beatings of late and has faded a bit into obscurity as he licks his wounds. With the dams filling up nicely and the river flooding regularly I think we will sail through the next winter and while it will take a few years for the smaller animal populations to recover, the drought is truly behind us. That’s all from Matt for this month. We thank you for spending few moments with us in the wilderness, sharing our experiences and joining our adventures. We are committed to keep you updated. Please follow our Facebook page for daily updates. Lodge recognised for offering the best visitors’ experience. The Lilizela Tourism Awards gives us the opportunity to celebrate trailblazers, as well as service excellence in the South African tourism industry in general. A local lodge recently received top honours at the fourth Lilizela Tourism Awards, in which the South African tourism industry celebrated its top business owners and service providers. 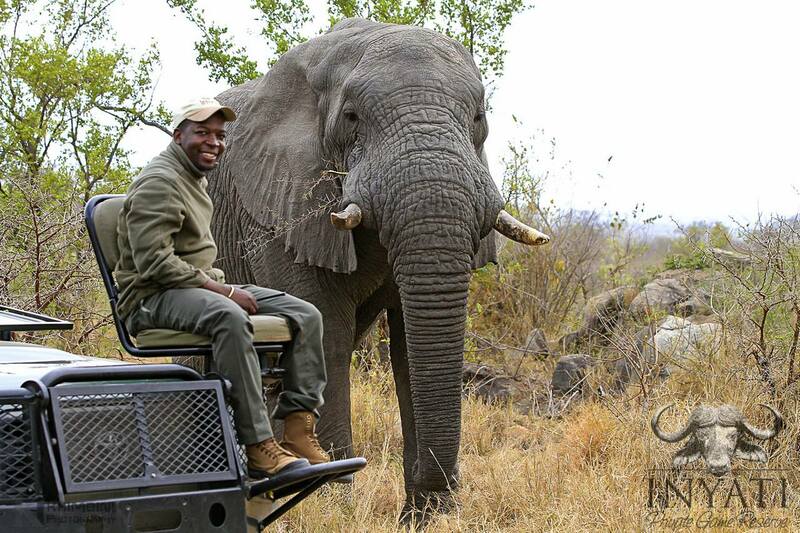 Inyati Game Lodge,situated about 60 kilometres from Hazyview, walked away with the Visitor’s Experience Award for Best Wildlife Encounters. 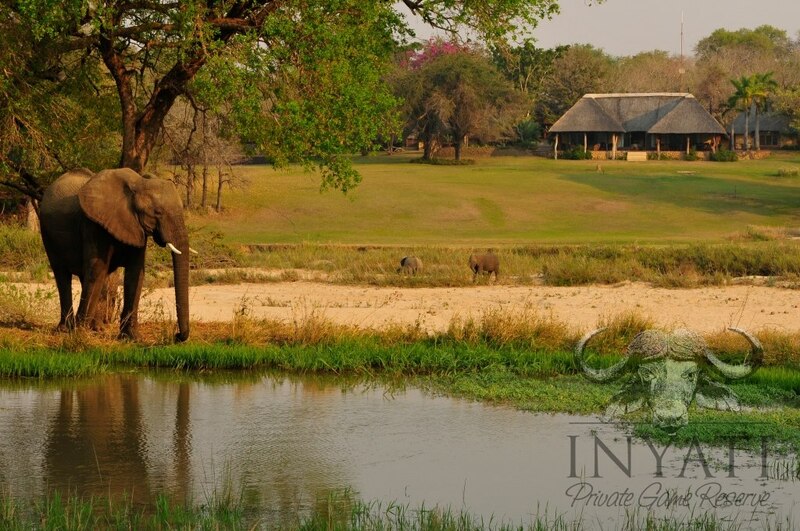 Inyati is set in 65 000 hectares of unspoiled bushveld within the Sabi Sands Reserve, on the doorstep of the Kruger National Park and on the banks of the Sand River. 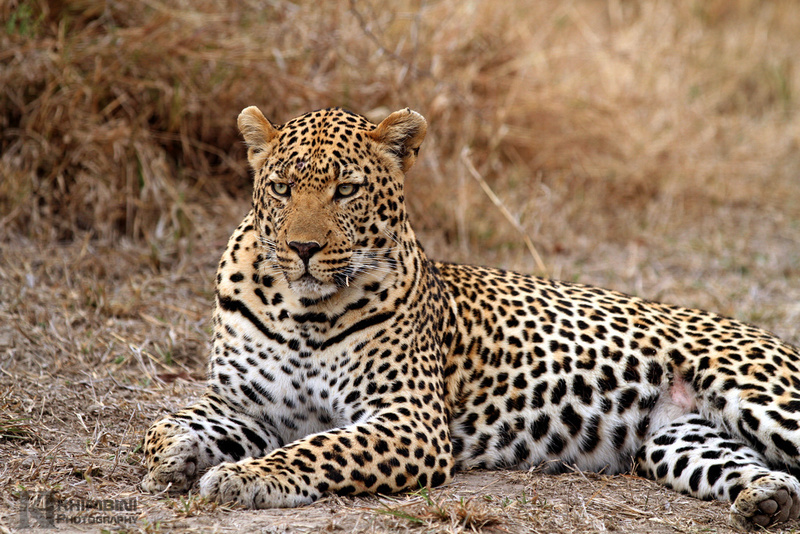 Diversity of species and relaxed big game allow for close-up game viewing and photography. “The gives us the opportunity to celebrate trailblazers, as well as service excellence in the South African tourism industry in general. The awards is an opportunity to pause and thank these individuals and businesses for their contribution to putting South Africa firmly on the global stage by ensuring their product and service offerings are of the highest standard,” said minister for tourism, Mr Derek Hanekom. “With 5,8 million people having visited South Africa from January to July this year, the number of tourists is on the rise. By being service oriented, the businesses celebrated today help to ensure that this growth path continues, guaranteeing memorable experiences for all tourists,” he added. The awards were established in 2013 to recognise and reward exemplary service among businesses in the local tourism sector, ranging from accommodation establishments and tour operators to scenic attractions and cultural heritage sites. In 2016, the awards attracted a record number of 1 122 entries, up 18 per cent from the previous year’s total. Tourism businesses across the nine provinces were encouraged to enter, with a great call that they be graded with the Tourism Grading Council of South Africa, a unit of South African Tourism. Members of the public were then invited to have their say on the Lilizela Tourism Awards website by voting. These votes, together with those from various platforms such as TripAdvisor and TGCSA’s Tourism Analytics Programme, formed 80 per cent of the score for each entry. A panel of high-level judges, drawn from the industry and academia, contributed the remaining 20 per cent of each establishment’s score. From these calculations, 589 finalists were selected nationwide and each province held its own awards ceremony in the run-up to the national finals. During these provincial award ceremonies, 262 provincial winners were celebrated. This was further narrowed down to 53 national winners, who were honoured on Sunday night. Awards were made in a number of categories including the Service Excellence Award (with subcategories Accommodation, Visitor Experience, Tourist Guides and Tour Operators), Entrepreneurship (for emerging tourism businesses), Sustainability and Good Governance, and the prestigious Minister’s Award. Inyati staff receive their annual dividend from the Inyati share scheme. 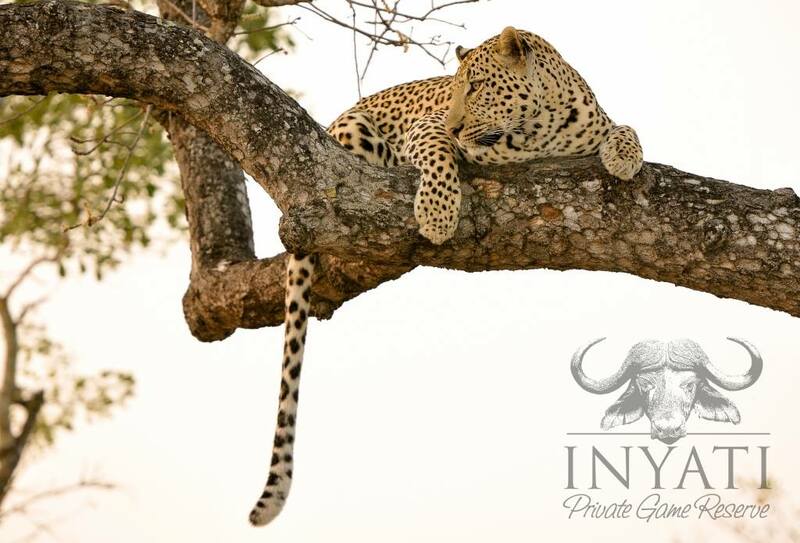 In 2011, Inyati Private Game Lodge in the Sabi Sand Game Reserve issued over 12 000 phantom shares, equivalent to five percent of the company, to its employees in a bid to reward staff loyalty and retain employee talent. In 2016 the staff have now received their 3rd dividend pay-out. “Our staff play an important role in the success of the lodge and we look forward to sharing future growth with them”. says Carlos Dos Santos, Director of Inyati. 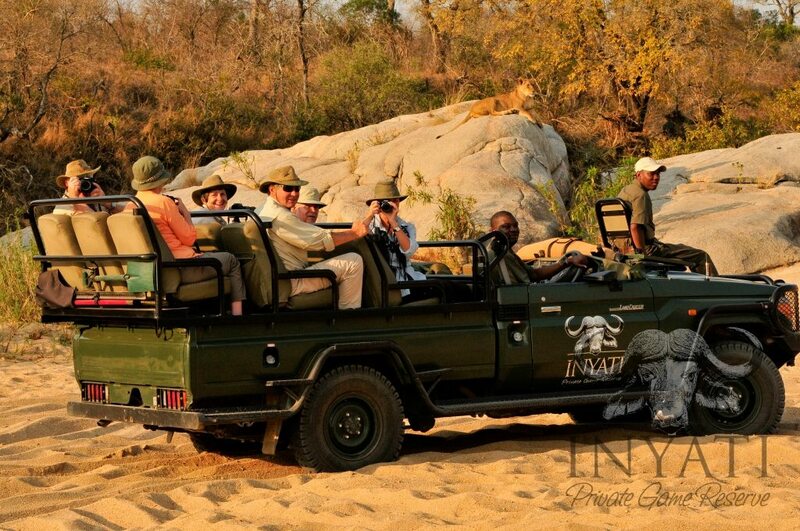 Inyati is set within the Sabi Sand Reserve, adjacent to the world-renowned Kruger National Park. 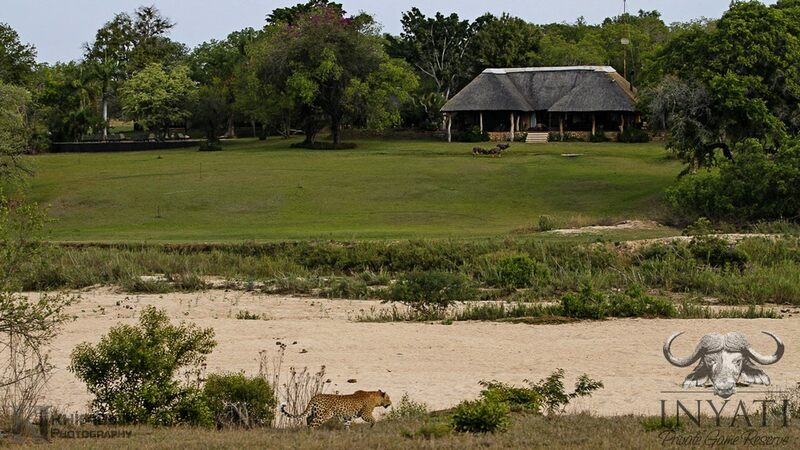 The lodge is situated on the banks of the Sand River allowing for fantastic game viewing from the lodge. Home to the ‘Big Five’ (elephant, rhino, lion, leopard and buffalo), as well as cheetah, wild dog and hundreds of other species of animals, birds and plants indigenous to the area. 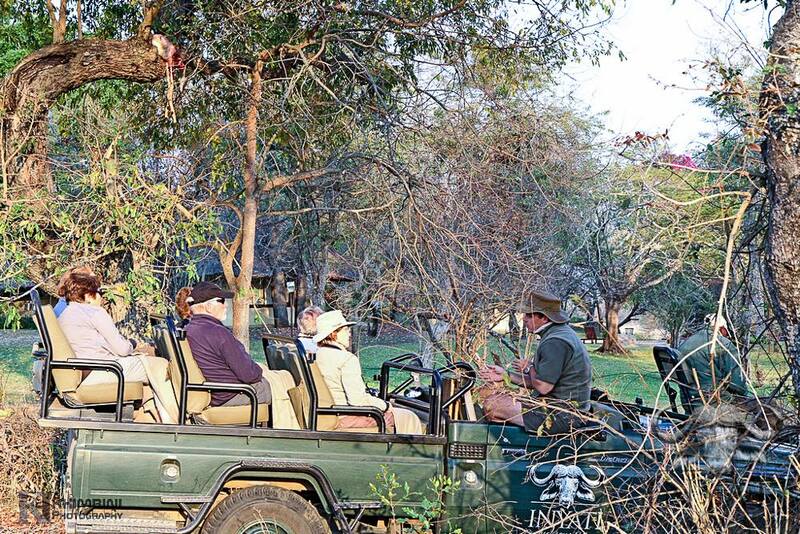 Our highly trained and experienced guides and trackers ensure that your safari experience ranks amongst the best in Africa. So with much pomp and ceremony, there has been very little rain. A few showers here and there but nothing significant. Instead of sweltering heat followed by thunderstorms which I have been expecting. It has been chilly in the mornings although I refuse to wear a fleece this time of the year on principal. The bush has turned green but everything seems to be on standby for some real rain. Having said that, the trend of wonderful sightings has continued into the green season. The animals are plentiful and putting on a show. There are also wildflowers, and all the migratory birds are back. I can’t believe it is that time of the year again! It’s lambing season for the beautiful Impala. 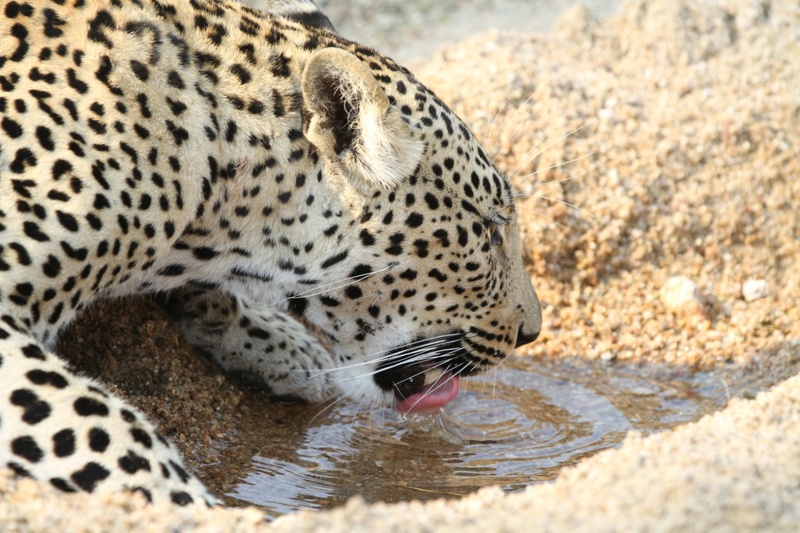 There is a lot to say on the habits of the leopards here at the moment. Starting with Xhikavi, she has given birth and has put her cubs in the drainage line just east of the lodge. The problem for her is that she is in a love triangle with Nyleleti and Dewane. Dewane seems to be the jealous type as he has killed cubs before and has been seen searching the drainage line for the cubs. Kashaan and Nyeleti have been doing the rounds. 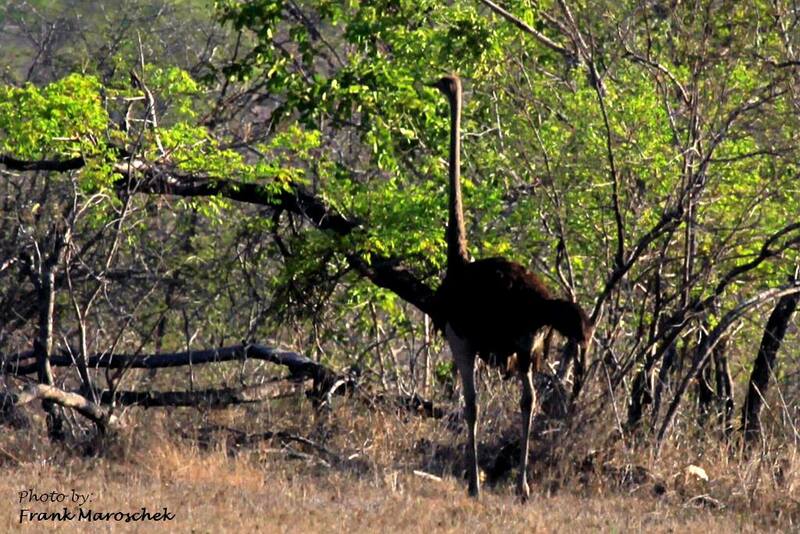 We saw Kashaan recently, he followed vultures to where 3 hyenas had a new born hippo carcass. He viewed the hyenas from afar and lost interest and kept moving. Tlangisa is revelling in the new born impalas, the new borns don’t stand a chance and she eats regularly and keeps a fresh kill all the time for her cubs. The lion sub-adults are all growing quickly. We haven’t been seeing the Othawas of recently as they have been hanging out in the east. The Ximungwes however have been seen sleeping everywhere. We had the Majingilanes on a buffalo kill North of the lodge. It made for some fine viewing especially the activity of all the scavengers. All the trees were full of vultures. Large pack of Cape hunting dogs playing on our lawn at Inyati Game Lodge. There have been many herds of elephants and buffalo and zebra around attracted by all the growth in the areas that burnt. The elephants have been putting on a good show coming to bath and play in the wallows by the lodge and in the river. Going forward we are looking forward to some decent rain and we hope some new lion cubs in the new year. 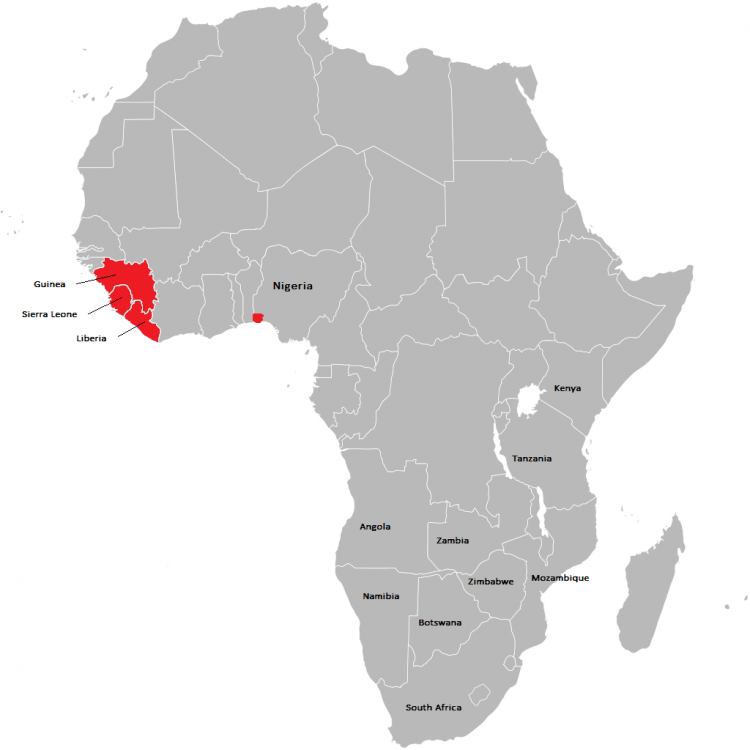 The countries affected at the moment are all in West Africa – Guinea, Liberia and Sierra Leone. Nigeria has had one case that was identified on an inbound flight. Subsequently, all flights from affected areas have been cancelled and all countries in the region (including South Africa) are on high alert and have stepped up measures to screen travellers and identify possible victims. We are certainly not downplaying the crisis and this is without doubt the worst Ebola outbreak in history, with over 700 deaths so far since February. But cancelling a trip to South Africa makes just as much sense as cancelling a trip to Spain because of Ebola. In fact, Spain is closer to the epicentre of the outbreak than South Africa is. 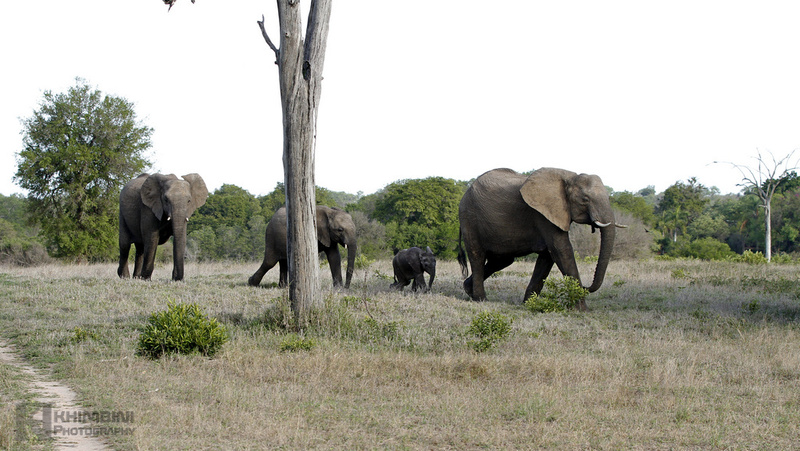 All the popular safari destinations in Southern and East Africa remain unaffected by the Ebola outbreak. 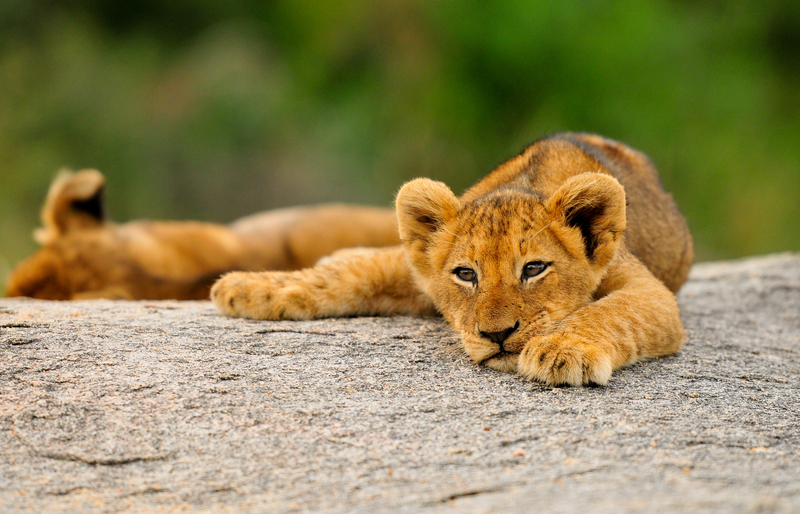 There is absolutely no reason to cancel your safari trip now. The biggest risk as a traveller right now is that you might have an elevated temperature due to the common flu or cold, and are then quarantined at the airport as a precaution. This is an important question to help asses the risk. Thankfully and significantly, Ebola is not an airborne virus. It is spread through direct person-to-person contact, and contact with body fluids of infected persons – blood, saliva and other secretions. 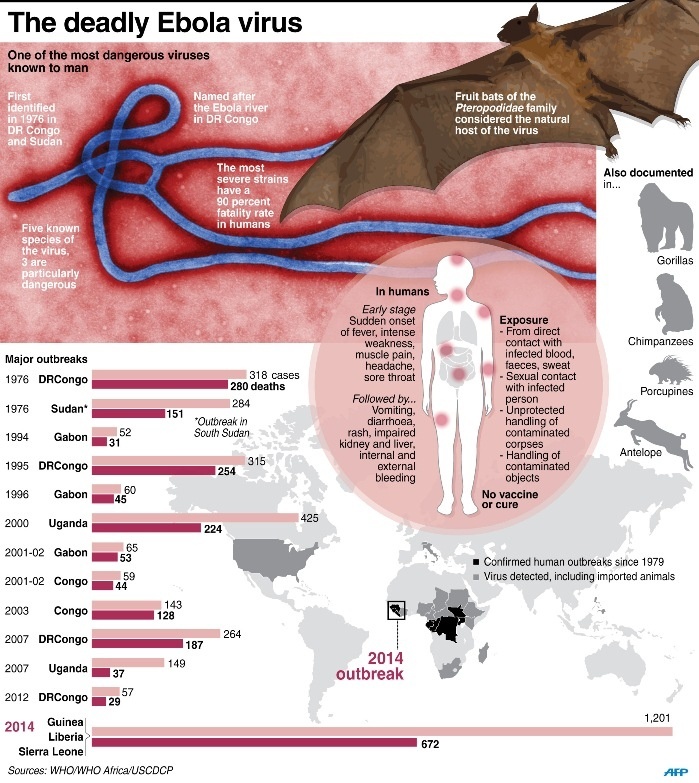 The WHO has a helpful factsheet about Ebola, which is worth a read. This means that the risk for ordinary travellers remains low, even in high risk areas, as long as you take basic precautions and avoid intimate contact with others. South Africa is not only an interesting mix of cultures, but also of third world and first world conditions. While many people unfortunately still live in third world conditions, the infrastructure in South Africa is very much first world, and the public health system is good. The department of health is very conservative when it comes to public health policy and disease prevention. For example, South Africa was the first country to require yellow fever vaccines for travellers arriving from Zambia, after a part of western Zambia was reclassified from “vaccine not recommended” to “vaccine generally not recommended” a few years ago. A minor change by the WHO, but the health department responded swiftly and firmly with new regulations (considered unnecessary by many). South Africa also has world class airports with excellent screening, medical and quarantine facilities. So these are the facts. 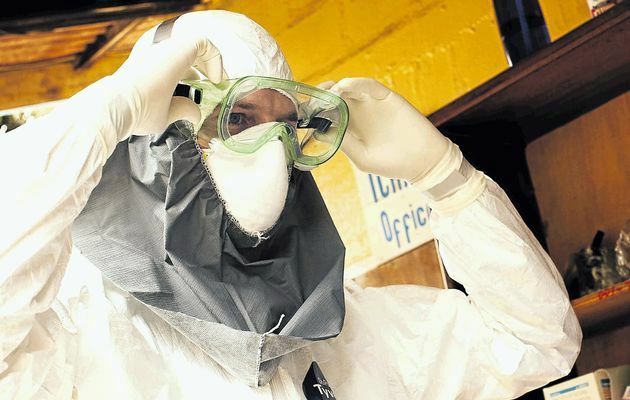 There is no Ebola in South Africa or any of its neighbouring countries. Unfortunately, when panic sets in the facts are not always considered in the decision making. During 2012-2013, we had cancellations for trips to South Africa because of the political protests and unrest in Egypt, 7000km away at the opposite end of the content. A major fail of geographical comprehension, and a pity for that family that they cancelled a fantastic trip for a completely unnecessary reason. Let’s hope the same does not happen with this Ebola outbreak. Inyati Game Lodge completes its renovations. Inyati Game Lodge in the Sabi Sand Reserve, adjacent to the Kruger National Park has completed renovations to the standard chalets and guest areas. The lodge refurbished the existing chalet structures by remodelling the guest bath-rooms with new sandstone showers, double vanities and corner bath’s. The old cottage pane windows have been replaced by large sliding wooden doors to allow more natural light. Interiors have been refreshed with new beds, furniture and mosquito nets. “We are thrilled with the outcome of the renovations.” said Leighanne Dawkins, Marketing Manager. The weather: We have had an amazing Nhlangula / October at Inyati. The comfortable September weather is a distant memory and is replaced by the hot, dry days that give October its reputation as the warmest month of the year. We have experienced quite a few warm days with temperatures reaching highs of 44° c. With the heat we had a few sensational afternoon thunder showers which have caused the trees to burst into bloom. 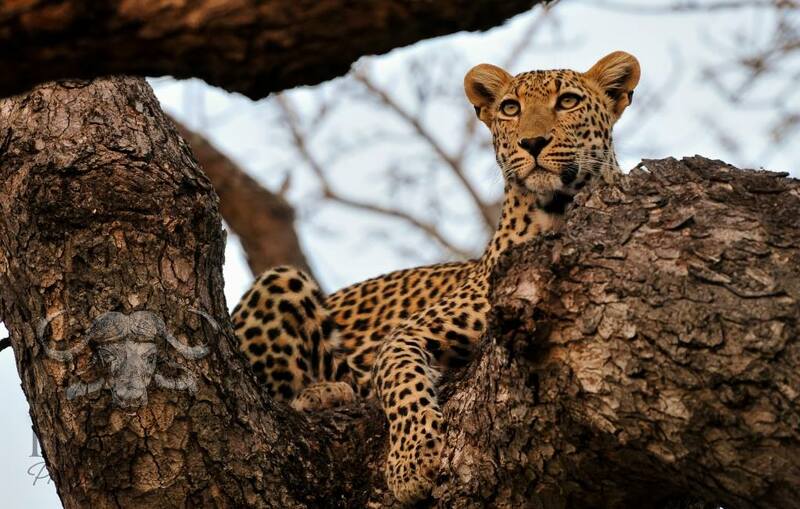 Wildlife: The month of October often brings about change in the African wilderness – Inyati, Sabi Sand game reserve has been no exception. Game viewing has been astonishing. The predators have been all out and entertaining and general game has been excellent , with congregations of giraffe, buffalo, impala, kudus, wildebeests and waterbuck around the reserve. It’s a privilege to be able to watch these animals grow. This male is in great condition and really looking magnificent. He still walks all day covering great distances marking and patrolling his massive territory. He was also seen mating with Hlabankunzi female for few days during the month of this report. 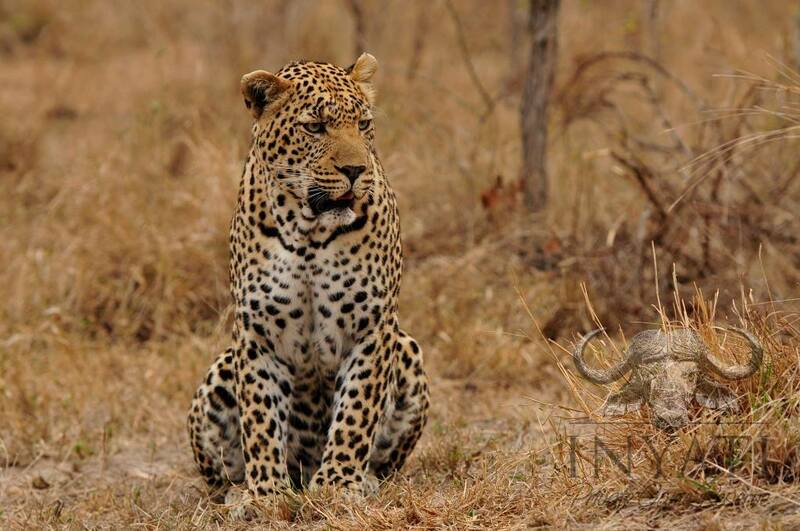 This great mother leopard very seldom interacts with the cub now. She still takes her to the kills she makes every now and then but doesn’t stay there with her. She killed an impala one morning, hoisted it in a tree just off our airstrip and a male lion walked past only about 200 hundred metres away without seeing or smelling the kill. Finally! We get the first glimpse of Xikhavi’s cubs on drive this month. The cubs are very relaxed even approached close to the vehicles; mum did keep them in line and close to the den site. She constantly had to carry these little cubbies back in the den where as they were happy to explore the world. This beautiful young leopard have been scarce of recent month, a few times this month she did however came out of the thick vegetated north-western corner of the reserve but she still refuses to show us her cub or cubs. 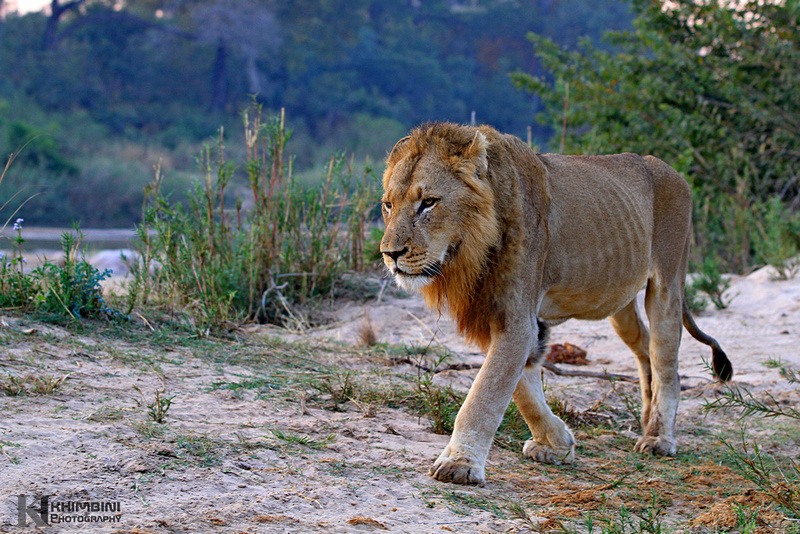 We have been spoilt with many sightings of the two of our resident pride of lions; they have been found frequently. 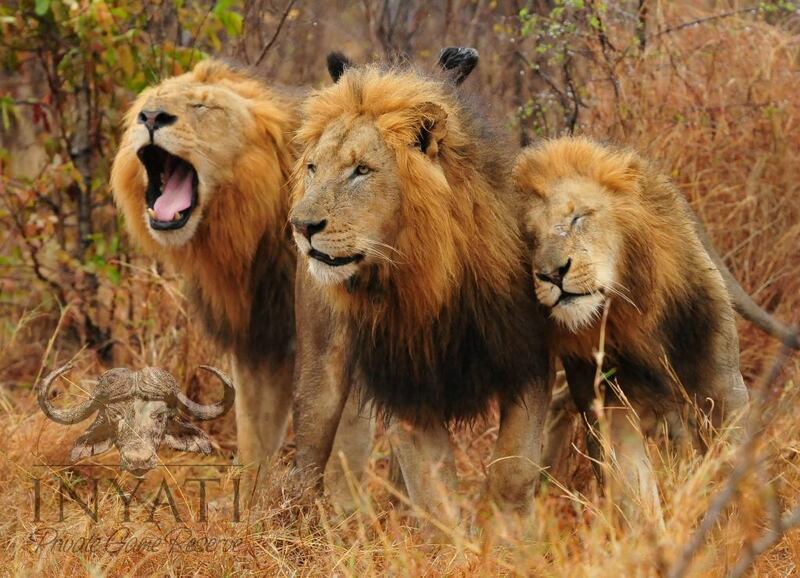 They have been successful with hunting and our guests have been very lucky to see these lions hunting and feeding on a couple of occasions. Sadly the formidable four – Selati male coalition – known for defeating the Magogo coalition is now down to three. 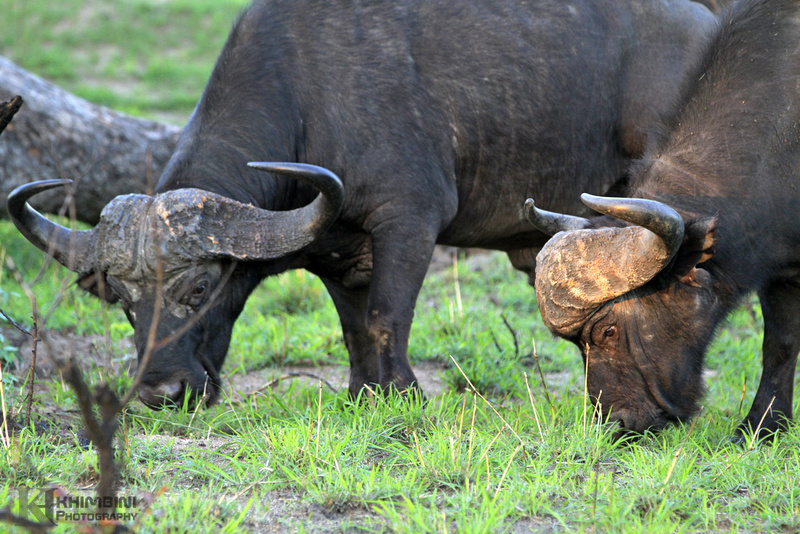 One of the males has passed on after battling for over eight months from the internal damage caused by a buffalo hitting him. He was found dead east of our boundaries, we are not sure how he died but there is a theory that he was finished off by another buffalo. 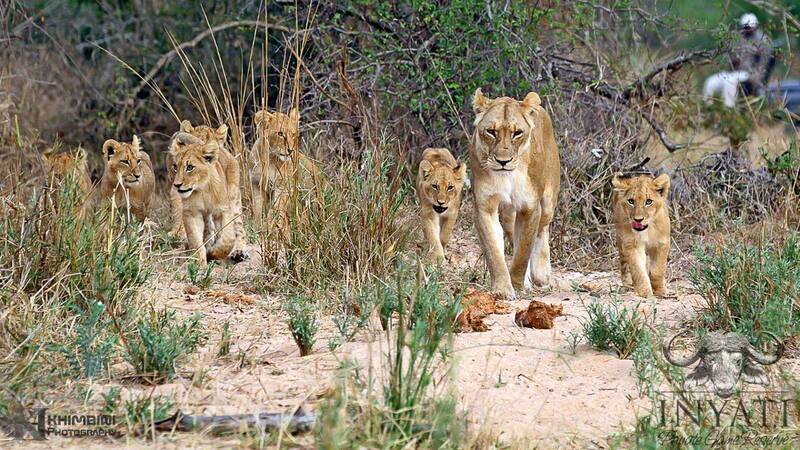 This pride continues to thrive, they have been extremely successful in their hunts and the cubs are growing by day. One of the lionesses was mating again this time she was with the large of the Selati males. 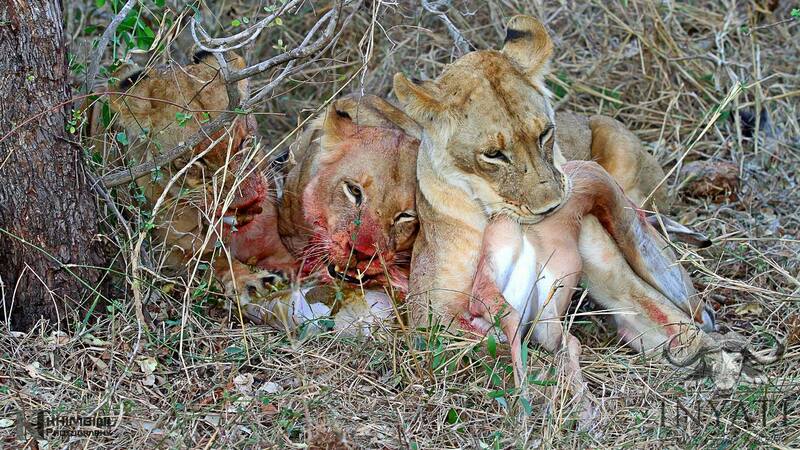 The lionesses lost few of their kills to the selati male, which we followed hunting on one afternoon. They caught a young male nyala before they could tuck in and eat their kill the dominant selati male was there to claim it. On another occasion Othawa pride had some luck again. 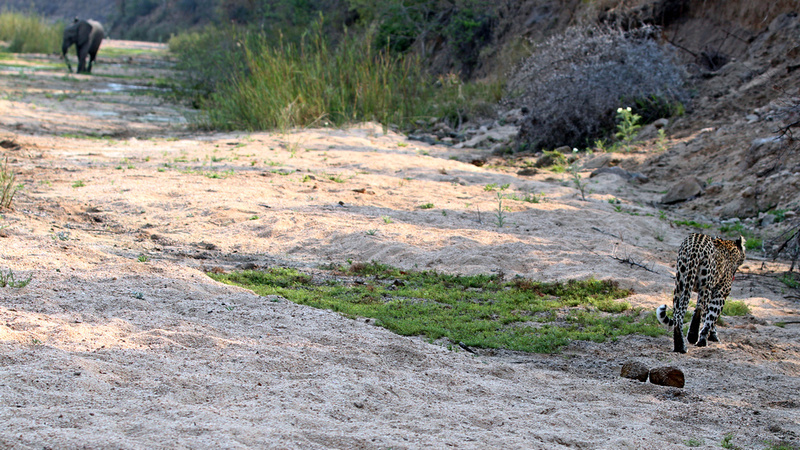 The pride was lazing on the banks of the sand river when the wild dogs caught a nyala ewe within earshot. 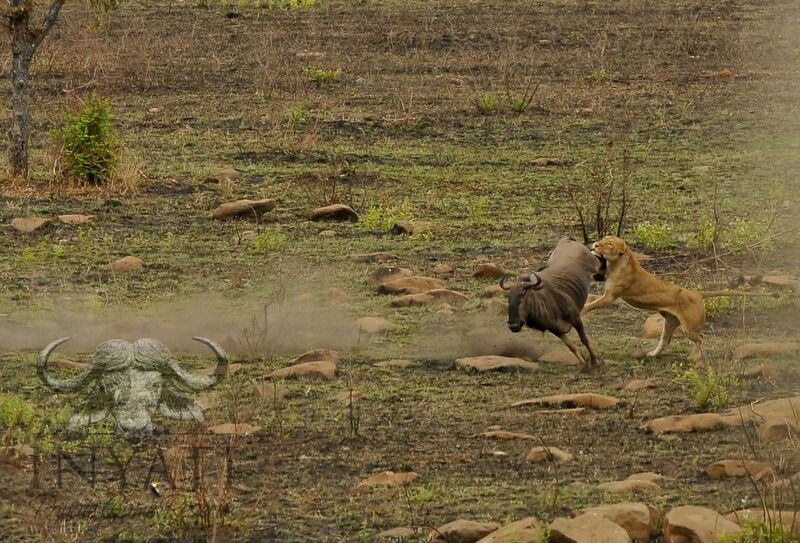 The lions were off in an instant and quickly chased the dogs off the Nyala that was still kicking. 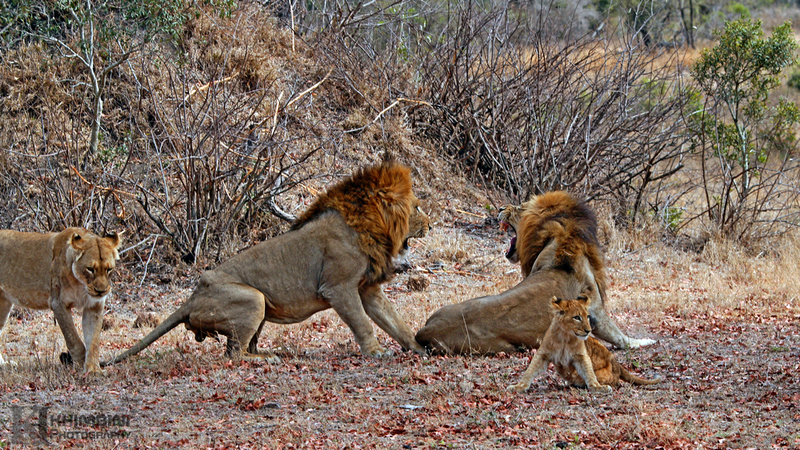 A battle then broke out between the lionesses…. The tug of war lasted into the night. There was a lot of fighting but hardly any eating. 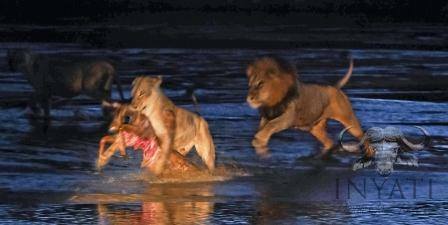 These loud growls did not go unnoticed… the Selati male come running into the scene for some share of the carcass, he took no time to steal the kill from the lioness. He was able to keep his two brothers at bay as well. When we left he was still finishing off his spoils. We didn’t see much of this pride this month as they spent most of the time to the South and East, but all three females and the six cubs are doing well and are still making regular kills. Every dog has its day! We watched the pride hunting they and they had an amazing opportunity to pull down a wildebeest. 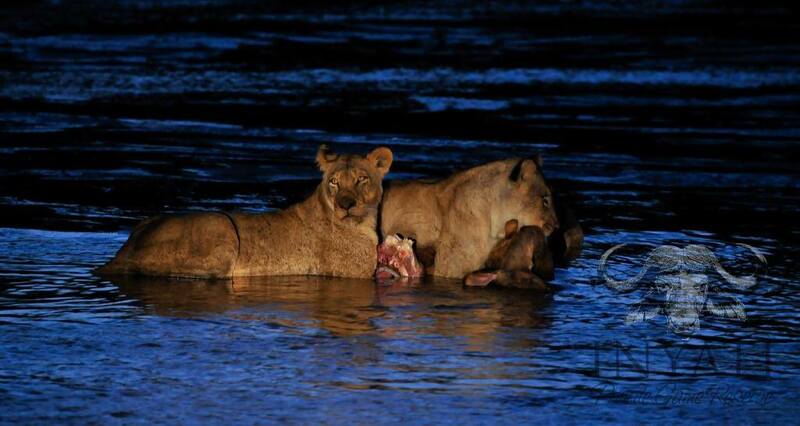 As the image depicts the lionesses were on top of the herd before they could sprint off. The wildebeest that was about to have its rump slapped managed kicked the lioness under the jaw and actually stunned the cat long enough to escape. The big herds are still visiting the area and bachelor groups were seen all around the property and in the lodge area enjoying the thicker green grass. 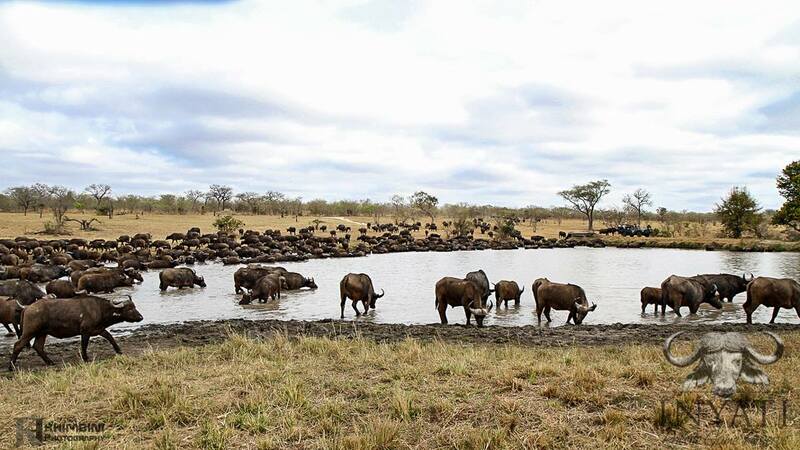 Some new big herds of buffalo, ranging between two hundred and five hundred animals were found along various plains and the river. The lions have been taking advantage of the situation sneaking in catching unsuspecting young and old individuals. 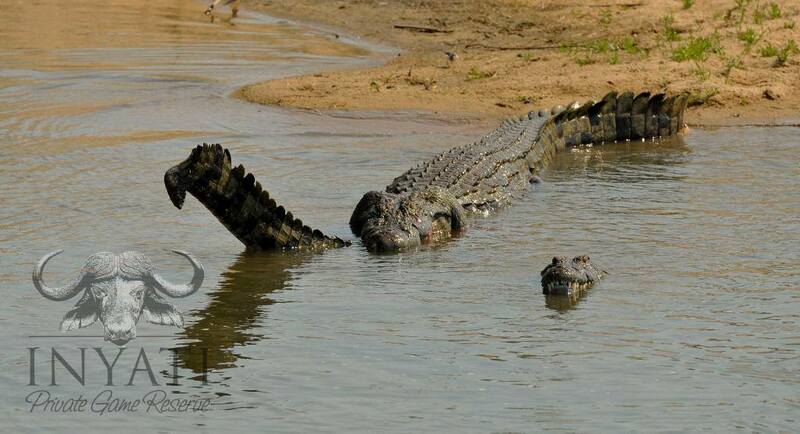 More than the big five….. The Camp has also been wonderfully productive, with a steady supply of elephants moving through to drink and play in the river. 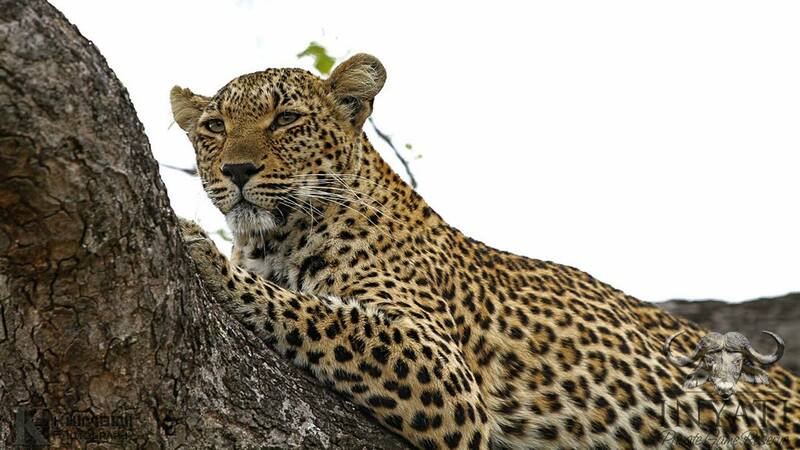 Amongst few other animals that visit the lodge was the mother leopard, Xikhavi hunting impala in front of the lodge. 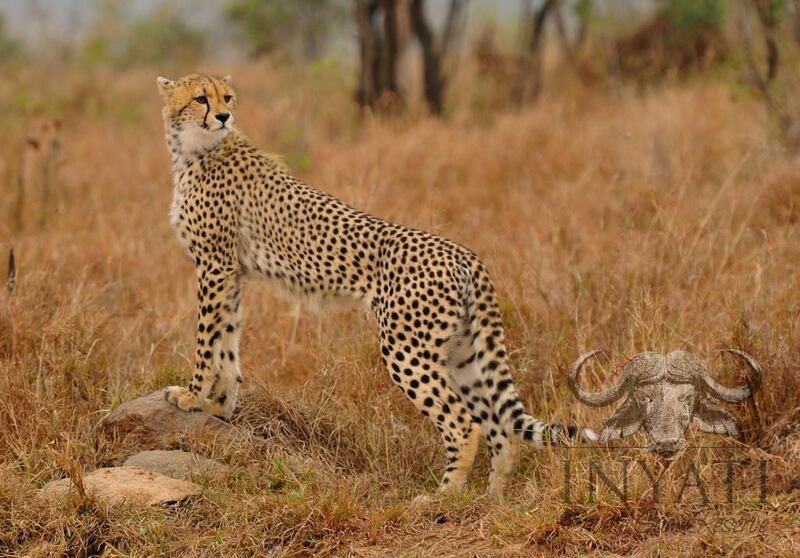 Xikhavi leopard hunting impala in front of the lodge. 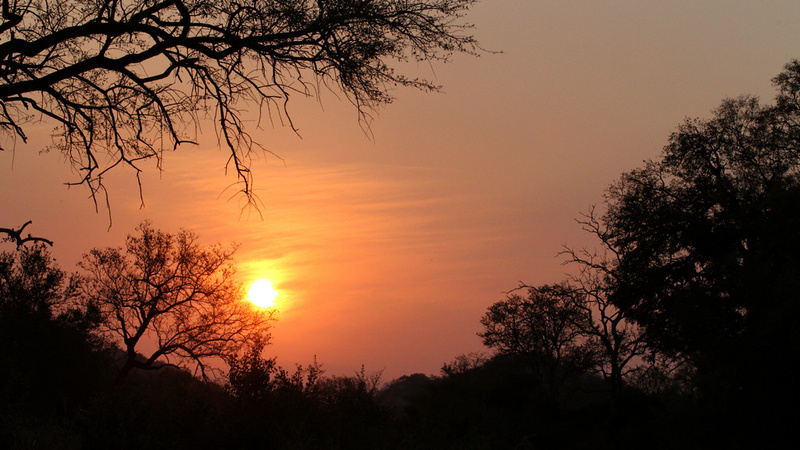 The weather: Ndzhati / September saw the mercury rise steadily with midday temperatures reaching the high thirties (Celsius) and the cold winter’s mornings of June and July are behind us. On few occasions, very light showers surprised us and grey thunderclouds threatened but brought little more than a bit of shade. The bush remains dry as a bone and very dusty indeed. The vegetation in general is much thinner now which grants us far greater visibility. 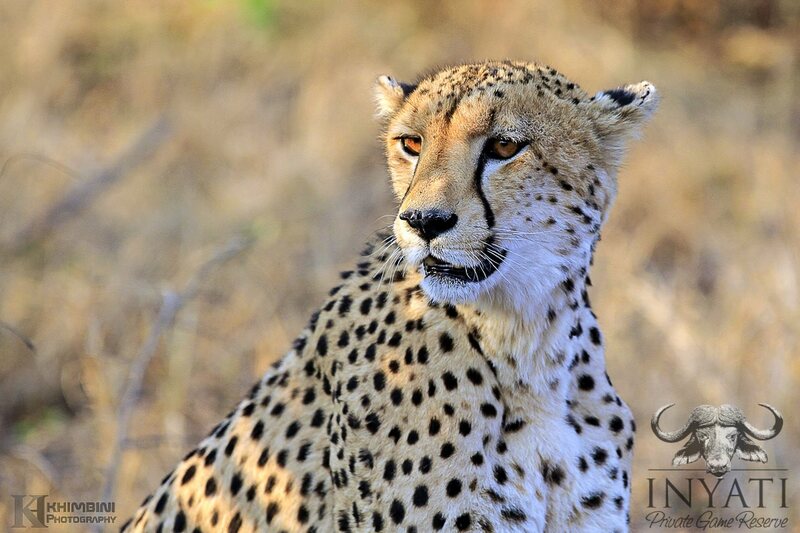 The winds are blowing strong which make for some dusty, yet successful game drives. 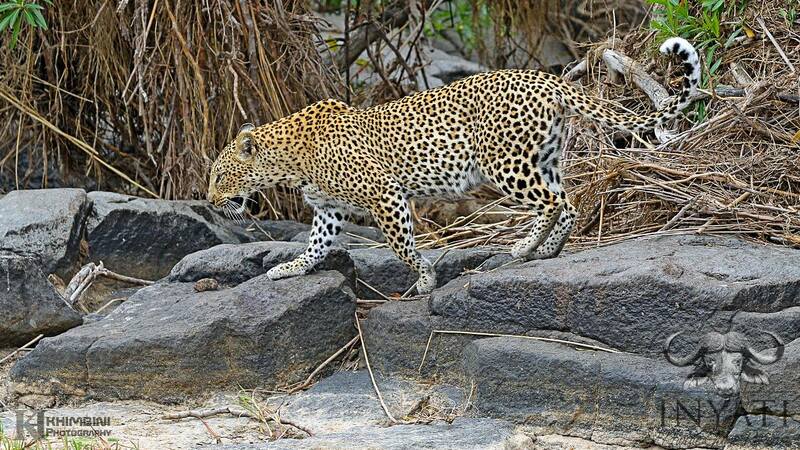 Wildlife: The game has been exploding out of the bush this month and the guides and guests have been notching up some incredible sightings of lion, leopard, wild dog and of some great general game. 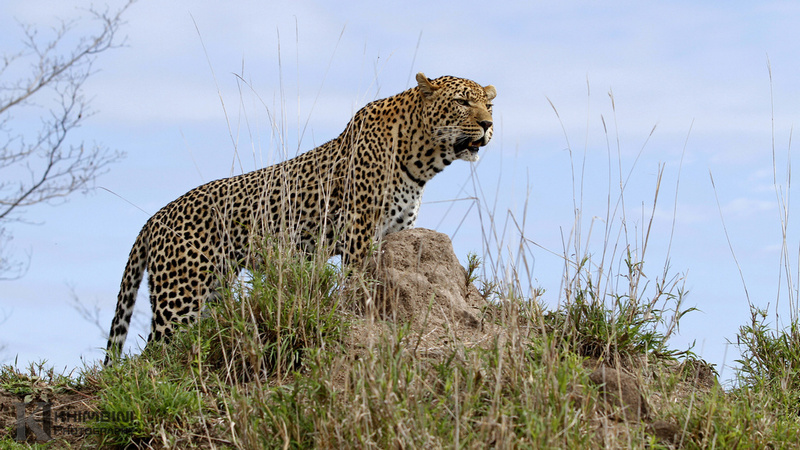 The leopard sightings have been prolific this month, to say the least – one group of guests recently recorded sightings of seven different leopards during their three-night stay. Dayone still remains the active dominant male in our region covering every corner of the reserve. 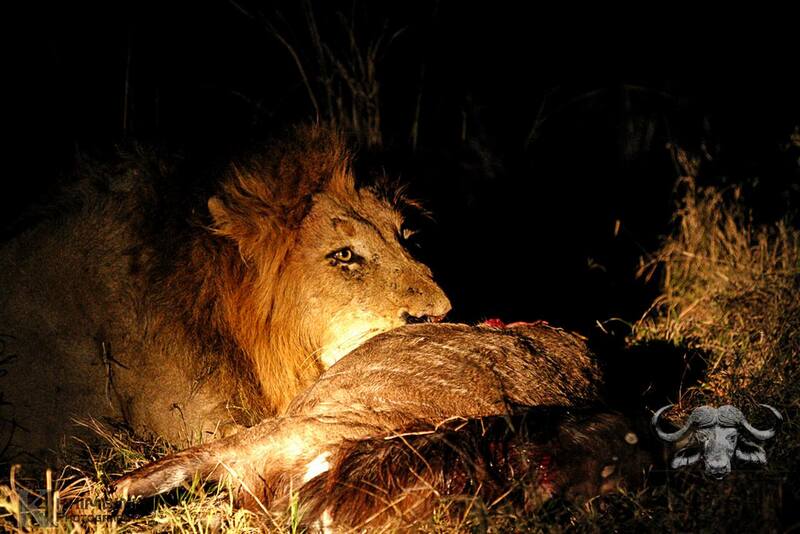 He has been hunting mostly warthog of late and getting better at killing these vicious animals. One doesn’t win every day! The bemused look on his face (picture below) is due to him being bowled over by a warthog boar just prior to the photo being taken. He took some time to stake out the burrow but a large male exited and barreled straight through his attempted tackle. He had a look down the burrow hoping for an opportunity to salvage some pride but this morning belonged to the hogs. Tai dam has settled in the north – east of our traversing area. We found him in a tree attempting to avoid his sisters persistent flirting. The Hukumuri female was waiting on the base of the marula tree, she didn’t let up but the male ignored her advances…as one should. 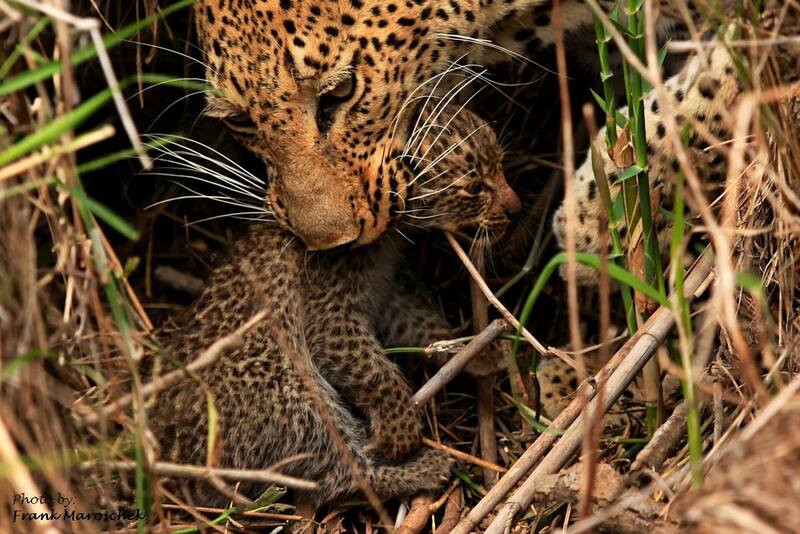 This female leopard gave birth in the middle of this month. One evening our guests that stayed up until the next morning at Warthog Wallow (Inyati bar) got to see her carrying the cub across the lawn at the lodge. We are avoiding the area where we presume her cubs are but will post images as soon as she is happy to introduce her litter to us. We have had some great lion sighting! Both our resident pride and the coalition have been very active throughout the month. 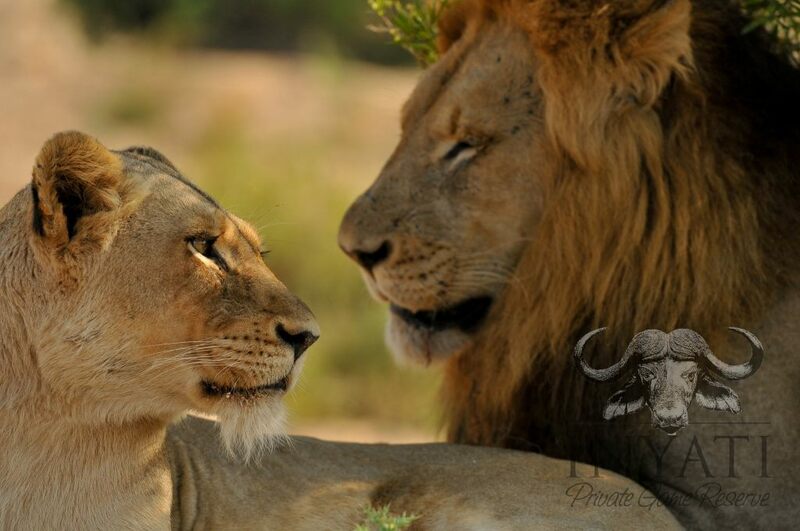 The pride is moving great distances again reclaiming the large territory that they have ignored for a while as they were raising the cubs and avoiding the Selati male and Majingelane male lions. 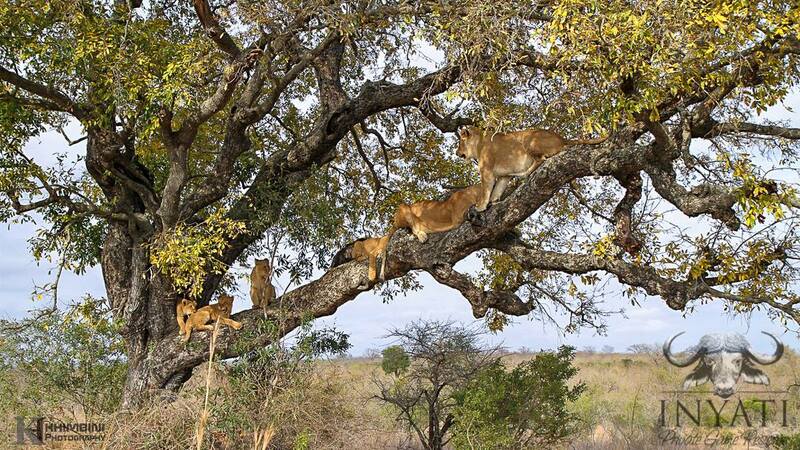 We had an unbelievable sighting of the whole pride climbing on a large jackalberry tree. It was all well and fun as they were climbing up the tree but coming down was rather ungraceful. On one morning we had a once in a lifetime interaction between some of the apex predators. It all started when the pack of wild dogs killed an impala. A nearby clan of hyena responded to the alarm calls and a fight broke out between the dogs and hyenas. The dogs were able to fend off the hyenas. 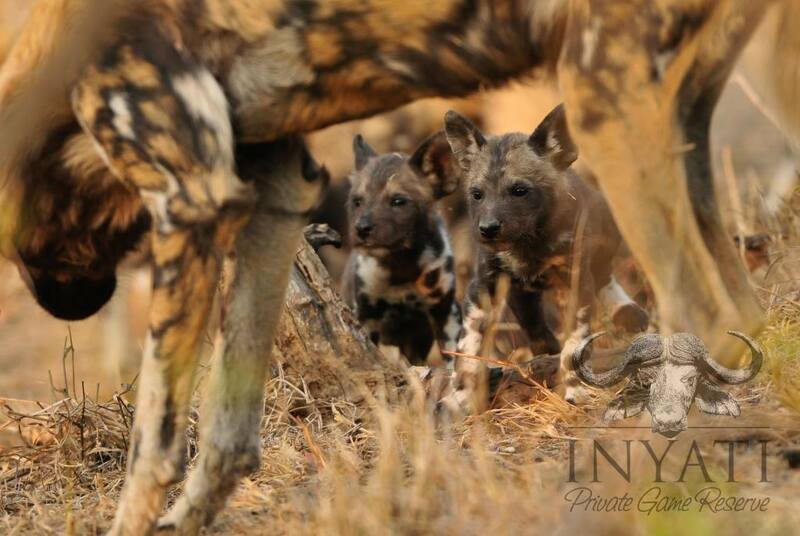 The dogs and hyenas then trotted to a nearby pan where they came upon the Ximhungwe pride and further chaos erupted. We now had dogs chasing hyenas, lion chasing dogs, lion chasing hyena and so it when on for about half an hour. 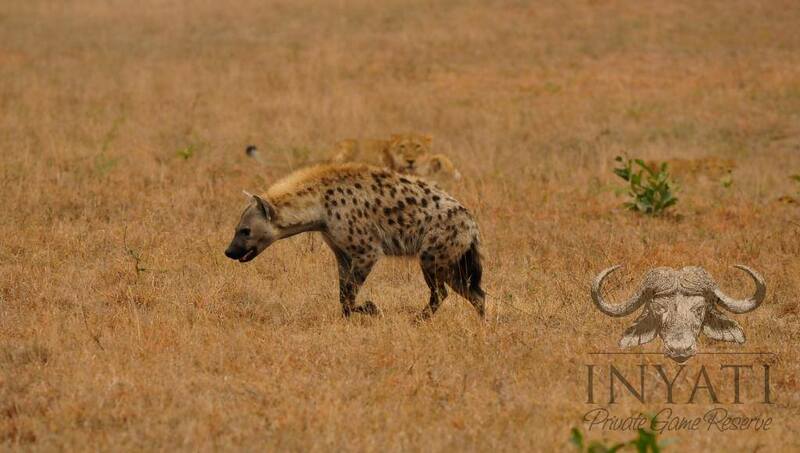 This hyena strolled past the lioness in the background without seeing them. She did get the fright of her life once they charged her though. We have had couple of large herds of these great animals in our area during the month of this report. 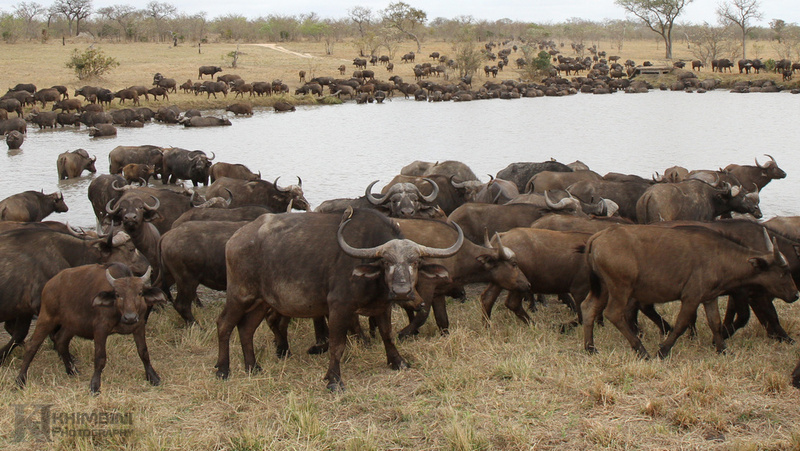 The one herd seen at dam five was very large estimated to be over six hundred animals in it. We sat there for about half hour more and buffaloes just kept coming. 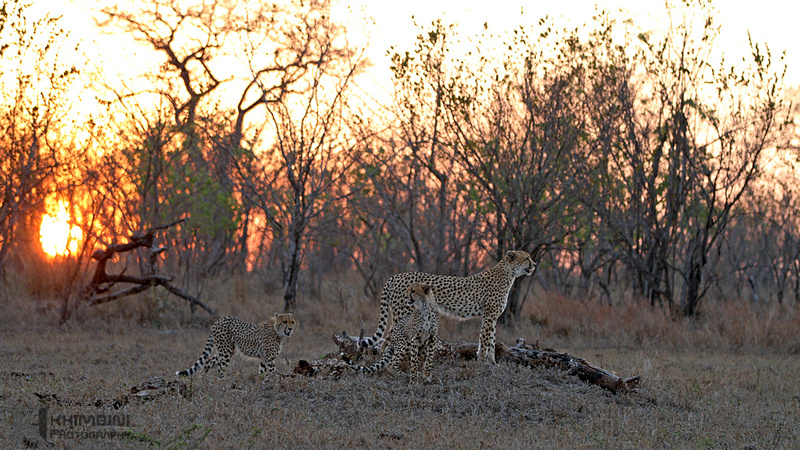 More than the big five…..
We have had a mother cheetah and two cubs in our traversing area for couple of weeks providing some great sighting as she hunted successfully on almost every second day. 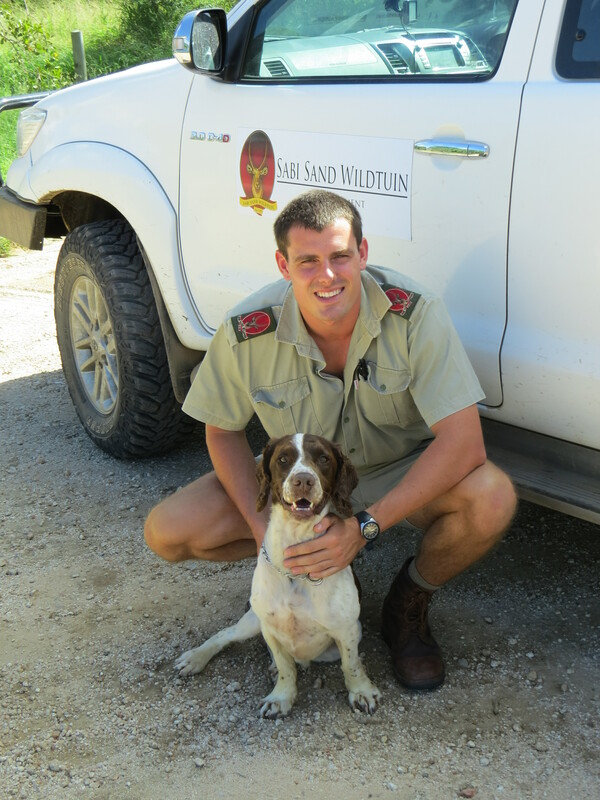 Cape hunting dogs are back – They are still denning in our traversing area and we can now confirm that the pack have grown by six members. The little puppies are about eight weeks old and growing fast. They are eating meat now; the pack has to kill at least twice a day to keep full and healthy. It is special treat to see the excitement by the little ones as they beg food to be regurgitated to them by the adults. 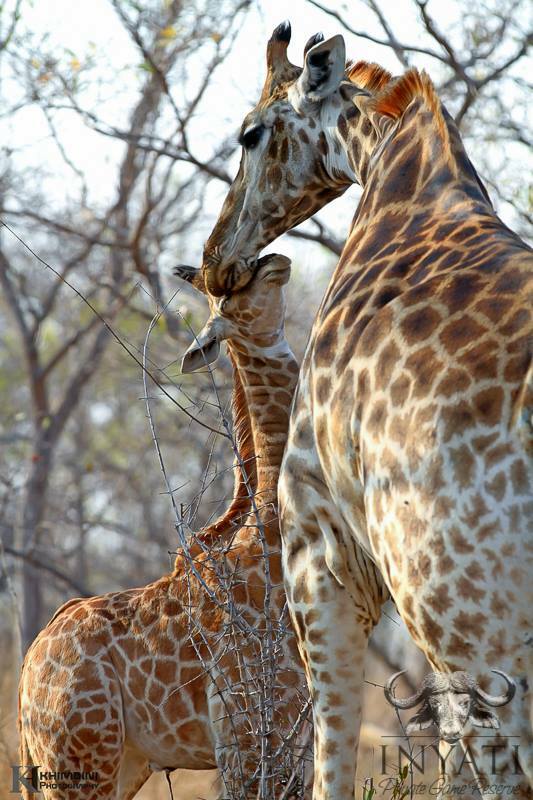 It is time for new life in the bush some of our lucky guests got to see a new born giraffe! I believe it was only few hours old; it was still very wobbly on its legs, with the umbilical cord still attached. The mother giraffe was very alerts at all time and attentive, she was constantly licking the calf on the face as if she was reassuring it that all was okay. Xikhavi female have been seen in and around the lodge often. 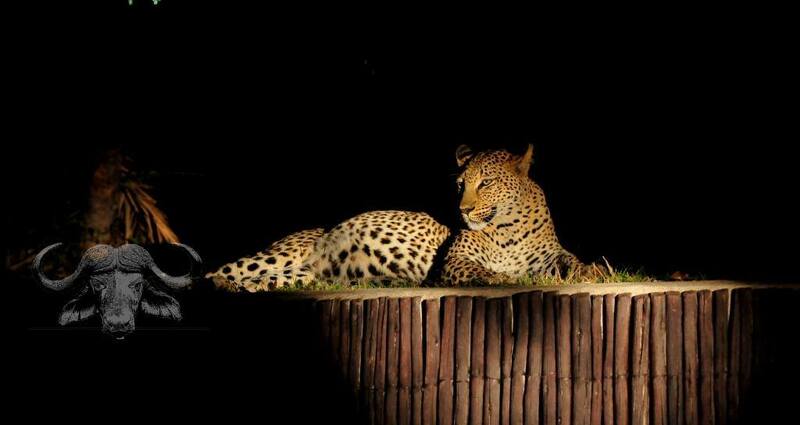 One evening she killed an impala just outside the boma while guests are enjoying their dinner. She then dragged the carcass and hoisted in a tree just outside rooms 10 and 11. The heavily pregnant and very well fed Xikhavi female will often take some time out and lay next to the swimming pool in the cool evenings. There is never a shortage of elephants near the lodge especially in winter months as they come for the greener foliage in and around the lodge.